After 33 years of Estate Planning, there remains as much uncertainty today as there has ever been over the future of the Estate Tax. We are on the heels of a major Tax Act that increased the Estate Tax Exemption to $11,000,000 per person but included another “sunset provision” where the law will revert back to an Exemption of $5,490,000. The big difference in today’s uncertainty is that it impacts a much smaller segment of clients than the estate tax uncertainty did almost 20 years ago when Al Gore squared off against George W. Bush over the hot tax issue of “estate tax repeal”. At that point, the Estate Tax Exemption was $1,000,000 and the prospect of “repeal” favorably impacted a greater percentage of taxpayers. Today, under Trump, we still have estate tax uncertainty, yet the difference today is that the Estate Tax Exemption is $11,000,000 per person impacting far less than one-quarter of one percent of the potential estate planning client. Quite frankly, for virtually the entire US population, the Estate Tax was already repealed in 2012 when we saw the Exemption increase from $3,500,000 to $5,000,000. So as not to waste anyone’s time here, this article is directed to the married couple client who has a combined net worth of $11,000,000 or more. This is perhaps the same married couple that faced uncertainty as recently as 2010 when the Estate Tax Exemption was going to “sunset” back to 2001 figures of $1,000,000. Instead of a “sunset” we actually got a “sunrise” and the Estate Tax Exemption was increased to $5,000,000. And to make it a bright new sunrise, we also got an unexpected increase in the Gift Tax Exemption to $5,000,000 as well. Before this historic day, the Gift Tax Exemption was always capped at $1,000,000 even though the Estate Tax Exemption continued to regularly increase to $3,500,000. On that blessed day, tax attorneys and CPAs around the country rejoiced. Their clients just received two beautiful tax presents wrapped in a pretty bow. An increase in the Estate Tax Exemption, and a huge increase in the Gift Tax Exemption. These two presents, coupled with the prospect that the Grinch could show up again in the future and steal Christmas, meaning another “sunset” in these gifts, opened the floodgates of planning opportunities. Statistics show a huge increase in Gift Tax Returns following the increase in these two exemptions in 2012. The most prevalent tax strategy in 2013 and 2014 was the Spousal Gift Trust (many practitioners call it a SLAT, and much has been written on the internet about the SLAT). We find ourselves today in the same stormy sea of estate planning uncertainty that we found ourselves in the years following 2010. We have a new major tax act that doubled down on the two Christmas presents of 2012. An increased Estate Tax Exemption to $11,000,000 and an increased Gift Tax Exemption of $11,000,000. As such, those clients that embraced the SLAT in 2012 or 2013, should use the exact same strategy again with these two new gifts. Those clients that missed the tax boat in 2012, can jump aboard now and do a SLAT. As a result of this marvelous tax planning strategy that was handed to us by Trump, I am calling it now the “Trump Trust” with all of the analogies that are associated with a “trump card” in many card games. It is the best card in the deck. The winning card. The card that can turn a bad hand into a great hand. Thus, the Trump Trust can turn a bad Estate Plan into a great Estate Plan. The “Trump Trust”, it is going to be “HUUUUGE”. So, how does a Trump Trust work and what makes it so great? (Trump essentially made the “SLAT” great again. So, when I am describing the Trump Trust, I am describing what the traditional SLAT is and explaining why we should ride this pony again.) In Estate Planning, and more importantly in Estate Tax Planning, there has always been a trade-off between shrinking the Taxable Estate with different strategies and maintaining control over those assets and reaping the benefits of those assets. The IRS has always imposed strict code sections and regulations that maintain that in order to remove assets from one’s Taxable Estate a client must give up two things dear to the client. Control over those assets and the use of the income from those assets while the client is alive. In other words, tax attorneys were paid dearly to come up with techniques that allow a client to “gift” those assets out of his estate, to shrink taxes, but still maintain control over those assets and the use of the income to support the client during his or her life. The best answer, the SLAT (“Spousal Lifetime Annuity Trust”). That’s why this article is directed toward married couples. Now, what exactly is a SLAT? Well, it’s younger brother has always been a big part of estate planning, the Credit Shelter Trust. (Some attorneys may call it an Exemption Trust, or a Family Trust, or a Decedent’s Trust (in my firm we simply call it a B Trust). Every married couple who has some net worth and has done their Estate Plan should certainly be familiar with the “A/B Trust”. It is the most common Trust for married couples. It is a Trust that the couple creates during their lifetime, and then it subsequently converts into two Sub Trusts, the A Trust and the B Trust when the first client passes away. I have been setting up this Trust for my clients since I crawled out of law school 34 years ago. I have created thousands of them as have all of the other estate planning lawyers. It was, back in its day, the solution to most clients’ estate planning needs. If you want to understand all of the reasons we created them back then, then you will need to do your own research on that on your time. I am not going to go backward and discuss why they were so popular. I am going to spend my time on “big brother”, the SLAT and why it is so popular now. The B Trust, in its simplest form, was created by one spouse, for the benefit of the other spouse. It was contained in a Revocable Trust the client created, that became Irrevocable and funded when the client passed away. It was designed to remove those assets from the estate of the surviving spouse when she subsequently passed away, yet, give her the ability to “control” those assets during her lifetime, and receive the benefits of the “income” from this Trust as well. Estate Planning kindergarten taught us that you can create more favorable trusts for your own spouse then you could for yourself. From the above discussion, if a client created a trust for himself, and was the trustee and retained control over that trust, as well as kept all of the income from that trust, we already have learned that those assets would not be removed from his Taxable Estate for Estate Tax purposes. But, and this is a big but, that same client could create a trust for his spouse, and let that spouse be the trustee over it, and let the spouse retain control over it, and let the spouse have the income from it, and let the spouse have the ability to access the principle from it, and let the spouse direct thru a beneficiary designation who receives it when the spouse dies, and yet, and yet, those assets would no longer be includable in the client’s estate when he dies, or in his wife’s estate when she dies and thus the magic. A trust where the person who has the control over the trust, and, receives the financial benefits of the trust does not have to include the assets in anyone’s estate when the client dies, or when the spouse dies. And in fact, if you include “generation skipping” provisions, the children could inherit and control the assets for their lifetime, and you wouldn’t have to include the assets in the child’s estate when the child dies. And, to make it that much better, all of the assets for all of the time that it is inside of this B Trust, would be beyond the reach of any creditors of the spouse and the children and the client. Wow, winner. Tax benefits coupled with Estate Planning benefits. Now you are seeing why it was and is such a powerful Estate Planning strategy. Now, although this B Trust has been popular since my career began, it differed from a SLAT in one huge regard. 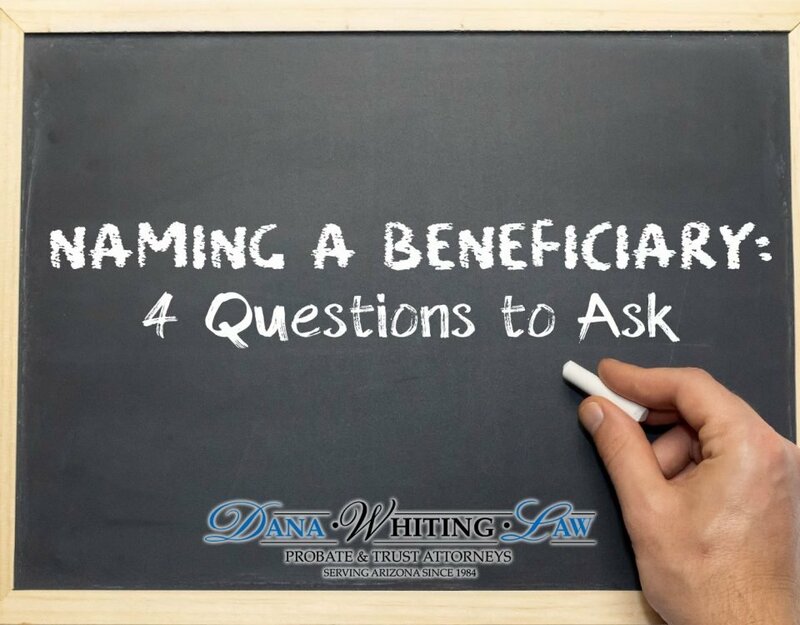 The B Trust is essentially created and funded at the death of the client by including it as a “Sub Trust” inside of the client’s master Revocable Trust. It was funded using the clients Federal Estate Tax Exemption available at his death. Over the years, as the death tax exemption increased, the Gift Tax Exemption (for lifetime transfers) was always capped at $1,000,000. Thus, it wasn’t popular, or maybe even contemplated to fund the B Trust during the client’s lifetime by making a Taxable Gift into it, and, applying his Gift Tax Exemption. Then bingo, in 2012 Congress gave us those two marvelous gifts. The increase in the Estate Tax Exemption and an equal increase in the Gift Tax Exemption. So, for the first time in history, a client could create the B Trust during his lifetime for the benefit of his spouse and fully fund it at that time using his Gift Tax Exemption, which is for the first time equal to his Estate Tax Exemption. The “SLAT” was born. Now, to be clear, you don’t get both the Estate Tax Exemption and the Gift Tax Exemption. You have one exemption of $11,000,000 that you can use partially during life or all during life. Whatever you don’t use during your life, you get to use at death. But, the big advantage to using it during life is two-fold. First, if you use it, Congress can’t take it away. And, second, you also get to remove the future appreciation in the value of the assets from the Taxable Estate as well. So, when the uncertainty hit in 2012, with the two new presents from Congress, and still the threat that there would be a sunset or a repeal of these gifts, tax attorneys around the country created SLATS for their clients by the thousands. Why? Simple, the client could use his exemptions now, while he was alive, and Congress couldn’t take them away if they were used. And, not only did he remove assets from his taxable estate, but he also achieved creditor protection. And, assuming he funded it with his $5,000,000 of increased Gift Tax Exemption, he would also receive the benefit of removing the capital appreciation on those assets during all of the years he remained alive. Thus, a gift of $5,000,000 could be worth over $10,000,000 by the time that he dies. In Estate Planning, capital appreciation is as valuable as compound interest is to a wall street baron. It is the 8th wonder of the tax world. In 34 years I learned two things. If Congress gives you an increased exemption use it, and, use it now. The exemption always has the most value today. So, the client creates a B Trust for his wife and funds it with a gift of securities or real estate equal to his new increased Gift Tax Exemption ($11,000,000 if he hasn’t already used the first $5,000,000 in 2012). And, as stated above, he can make his wife the Trustee, and give her many powers and strings over this Trust. The ability to withdraw all of the income. The ability to invade principle if it is needed for the “health, education, support or maintenance” of the spouse and the children. And, he can give the spouse the power to amend and change the remainder beneficiaries throughout her lifetime if circumstances change within the family dynamics. And, as already mentioned, the client dies, no estate tax. Wife dies, no estate taxes, and children die, and no estate taxes. And, to top it off, unbelievable creditor protection for the client, spouse, and the children. Why wouldn’t you do that? Now, you have been reading this now for 10 to 15 minutes or so, and you are a smart client. You can see the only downside to this strategy. There is only one. Can you guess, assuming you haven’t already been thinking about it during your read? Divorce. That’s it. Divorce. How do you protect against divorce? Two things. First, if your marriage is already on the rocks, this strategy is not for you. Second, if you want to hedge your bet, it is easy, you create a Trust B for your wife this year. And, next year you have your wife create a Trust B for you. Now, IRS is on to this “reciprocal Trust” and takes the position that essentially if you each create a B Trust for the other, it is the same as creating a B Trust for yourself and wife is creating for herself, and both trusts are collapsed. But, tax attorneys know all of the rules, and how to play the game. There are many simple ways around this “reciprocal trust doctrine”. If done correctly, and with some passage of time between the events, you can each create a Trust B for your spouse. Ok, you are still smart and you are now thinking sounds great, but what if I create this B Trust for my wife and my kids, and then my wife dies before me? I can never get any direct benefit from the B Trust. I just lost the income and control over $11,000,000 in assets. Well, two things again. First, it would be easy to purchase a life insurance policy on your wife, and, have that payable to a Life Insurance Trust for you. And, now that I am thinking about it, a “life insurance trust” is really just another B Trust that is created by your wife for you, but, funded with a life insurance policy payable on her death. And, in fact, if your wife has created a B Trust for you, it should be the beneficiary of the life insurance policy that you purchase on your wife’s life. No need to create a separate Life Insurance Trust. And if you have life insurance, you should name your wife’s B Trust as beneficiaries of those policies. 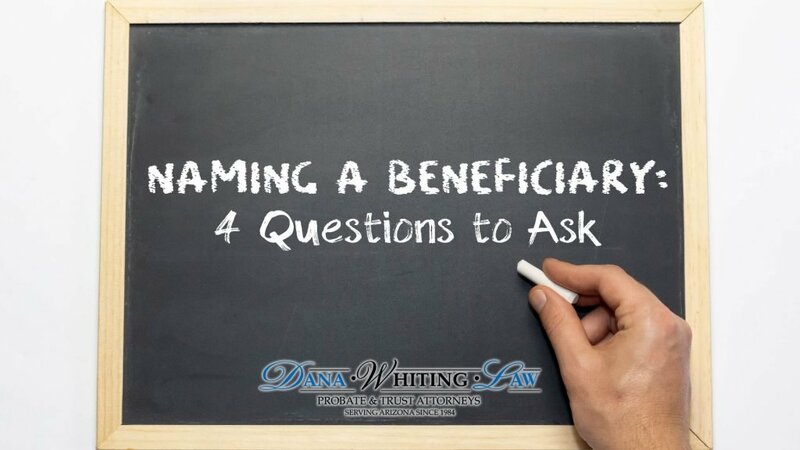 And Second, with some careful drafting and planning, and once again with the passage of time, perhaps the wife’s power to name a beneficiary of the trust if she dies could include the power and the right to name you as the beneficiary. So, the Trump Trust is born. The elder statesman to the SLAT, which was the big brother to the B Trust. It is exactly the identical strategy, the SLAT, that most smart clients took advantage of in 2012 and 2013. Sounds too good to be true? It isn’t. There is a lot written on the internet about SLATS. This isn’t a new idea and it isn’t my idea. But, it is a great idea and you should embrace it. I am just the one who is packaging it up for you and delivering it to your doorstep. Why take a chance or risk what Congress may or may not do? Lock in the Exemptions today, and, increase your asset protection. IT IS HUUUUUGE. We are making the SLAT great again.